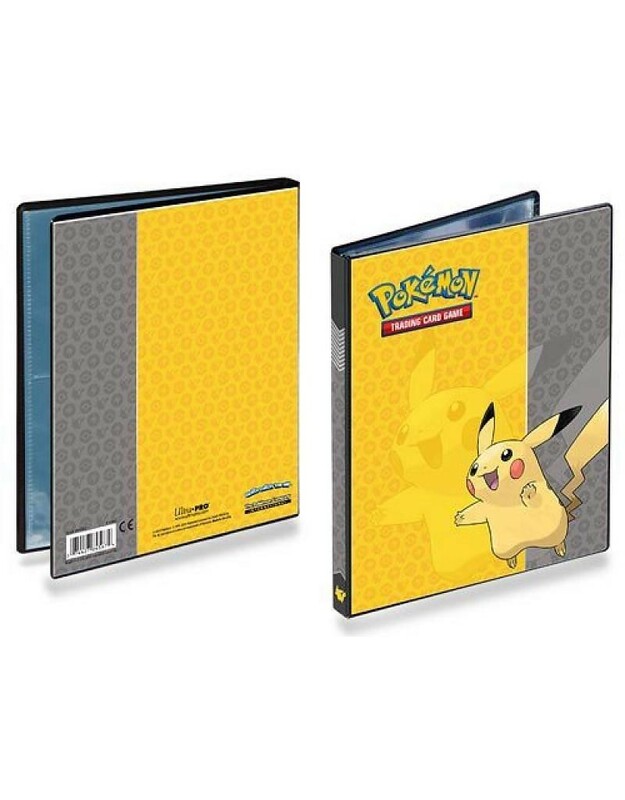 The Pikachu PRO-Binder features a "full-view" wrap-around spine. Each binder holds 360 sleeved cards and is constructed from archival-safe polypropylene materials. The black backing of the pages are textured for low friction and easier card insertion and removal, while an elastic strap holds the binder securely shut. Each binder is packaged in a peggable full-color polybag.